Spend a day with AWCI making watch bands and batteries more profitable for your store, and leave with a Tool kit and items from Sony Batteries. The American Watchmakers-Clockmakers Institute (AWCI) is bringing Making Money with Watch Bands and Batteries to the Atlanta Jewelry Show on March 1st, 2019. Watch battery replacement and bracelet sizing can be a profit center for your jewelry store. When properly performed, according to industry standards, battery replacement and watch bracelet sizing will generate real profits. Each participant will leave with a tool kit valued at over $295 and Sony battery assortment compliments of Sy Kessler Sales / Dallas. AWCI will bring their full-time instructor, Tom Schomaker and over 50 years of experience to the Atlanta Jewelry Show to present a class making watch battery replacement and bracelet sizing more profitable in your store. 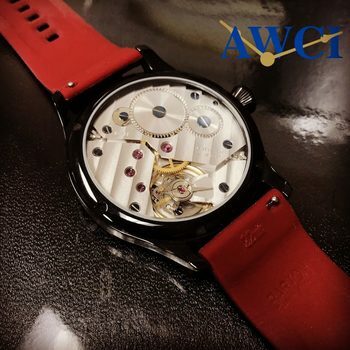 AWCI is the premier organization dedicated to the horology industry. This 8-hour hands on class will demonstrate modern standards and expectations to these tasks while showing you how to avoid costly mistakes. You will leave with a deeper understanding and ability to serve customers who cherish their watches while providing a higher level of services that you will sell in your store. Join us in our booth in the loupe area at the Atlanta Jewelry Show to discuss services that AWCI offers. We are passionate about watchmaking and watches and would like to discuss ways that AWCI can help your store promote horology. Watchmakers will be available for questions and any media or professional communication. Not only do you leave with a better appreciation and understanding of watches, components and service, but you also get to take home a high-quality tool kit and batteries and materials from Sony Batteries compliments of Sy Kessler Sales / Dallas. The Atlanta Jewelry Show connects industry professionals in an engaging atmosphere for four days of secure interactions and inspiring education, offering top selling products and services curated especially for the independent jeweler. Produced by the Southern Jewelry Travelers Association (SJTA), the Atlanta Jewelry Show is the longest running regional jewelry show in the country. For more information, please visit www.atlantajewelryshow.com. For almost 60 years, AWCI has been working to connect horological professionals in the United States. This year they have expanded their services beyond the professional to the entire horological community. This initiative started with their series of Build a Watch classes, which have been offered in 3 cities so far and which are scheduled for Austin, Detroit, Chicago, and Cincinnati this year, with more cities to be announced next year. For more information, please visit www.americantimepiece.com.